Home-based businesses and family-operated businesses each have their own minefields of potential problems, but the one pitfall they share is the blurring of boundaries. For home-based business owners, that means a constant struggle to maintain a healthy work-life balance, both literally (an established business sanctum away from the rest of the house) and emotionally (set work hours that allow for time with the family). For family businesses, it means turning a profit without tearing the family apart. But what happens when the two are combined, essentially creating a company whose employees all live under the same roof? World War III? You might be surprised. Here are six ways to make it work--and five companies doing just that. 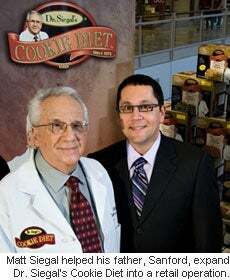 "I'm an eternal optimist; I think every new idea will work out great," says Matt Siegal, whose father, Sanford Siegal, started Dr. Siegal's Cookie Diet some 35 years ago from his home in Miami, Fla. "Dad's more of a pessimist, or a realist, as he calls himself," adds Matt. When Matt saw great potential for his father's small business to grow significantly by adding a retail division, his enthusiasm was off the charts. "Of course, Dad had to weigh the options carefully and consider any possible pitfalls," says Matt, knowing his father would take the more cautious approach. In the end, after some due diligence, the elder Siegal agreed. Matt sold his software company, joined his parents in the cookie business, and the company took off. "Now our cookies are sold at Walgreen's and GNC, as well as from mall kiosks, a few of our own retail outlets and on our website," boasts Matt, who serves as CEO and commutes constantly between his own home office in Washington, D.C., and his parents' home base in Florida. As for Mrs. Diet Cookie Doctor, as Matt refers to his mom, Lyndell, who handles the books and the paperwork, she has her own business acumen. "She's funny, she likes to play the role of being very much in the background, acting like her opinion doesn't count, but in reality she's very influential and very much a part of the decision-making process," says Matt, acknowledging that their personalities blend very well, which is so important in business. "Everybody does something except for our 4-year-old," says Rich Hoy, of Bangor, Maine. Along with his wife, Angela, he runs Booklocker.com, a full-service publishing company that handles all aspects of book production and turns out 200 titles a year from the Hoys' three-story home. "Our 8-year-old son answers the door for the UPS driver and runs up and down to our office, so he's sort of our runner," quips Rich. 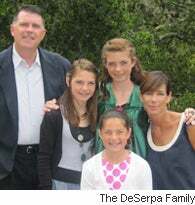 "Our 19-year-old daughter helps during the school year, doing office work and packing orders. Our middle son, who's almost 18, converts books to electronic format, and we're grooming our oldest son, who's 23, to become the G.M. one day," adds Rich. In addition, their oldest son's best friend serves as office manager. While some might assume that this many family members working under one roof could be a recipe for disaster, Rich is pleased to say that it runs rather smoothly because everyone has defined jobs to do and because he and Angela have different strengths. "She has a good rapport with authors and understands their needs, so she handles that aspect of the business, while anything technical, including our website and e-commerce system, is my domain," says Rich. By each having their own strengths, they generally avoid conflict because each partner acquiesces to the person with the greater expertise in a given area. "When we disagree on a general business matter, we try to find a compromise solution, as we do in our marriage, so that we can move forward," Rich says. Since Angela also runs a successful online newsletter, Writersweekly.com, Rich manages the household, which means supervising the children. "Sometimes with kids it's hard to get everyone pulling in the same direction. They can take advantage, so there has to be some delineation between boss and parent" when it comes to maintaining order, Rich says. Of course, the kids are under no obligation to work in the family business. "As long as they want to be involved, it's a good learning experience," concludes Rich, who is hoping to instill an entrepreneurial spirit in his offspring while building family togetherness. "We ask our daughters for their input on style, fabrics and colors since we're in the fashion business, and tween and teen girls are very aware of what's fashionable at any given time," says Kelley DeSerpa, co-owner of hip-T, a dual-family, California-based business that sounds like it could be the premise for a sitcom or Disney movie: Two stay-at-home moms and longtime friends, living on the same street, each with three daughters, start an original home-based fashion accessory business... and the fun begins. Actually, it all began when Christine Meeks saw a problem and created a solution. T-shirts, she found, have a habit of revealing unwanted thong secrets when one bends down, not to mention "muffin top" waistlines with low-cut jeans. So three years ago she created a simple but practical fashion cover-up that looks like the lower half of a T-shirt. She called it the hip-T. Today, the business is thriving, with sales of more than 500 items a week via the internet and more than 100 boutiques. While the hip-Ts are now being manufactured nearby, all sales and shipping are handled at home by Kelley and her daughters, ages 10, 12 and 14, and Christine and her daughters, ages 9, 13 and 15. "The girls think it's cool that their moms actually own a business, and we really want them to feel involved," says Kelley, noting that they all pitch in with marketing ideas and that the girls even set up and manage the company's Facebook page. For the Siegals, it's diet cookies; for the DeSerpa and Meeks families, it's all about fashion. But for Cheryle and Rick Harbaugh, their home business is a labor of love brought about by their son's special needs. 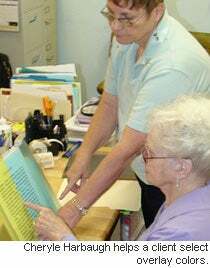 The Harbaughs run the Irlen Center Albuquerque, where they test individuals for Irlen Syndrome, a visual processing disorder that significantly impairs reading and depth perception. They learned firsthand about Irlen Syndrome when their 22-year-old son, David, tested at a second-grade reading level. "I found a testing center in Texas on the Irlen.com website and took him," says Cheryle, whose son was diagnosed with Irlen Syndrome and fitted for special colored lenses that ultimately changed his life. Now he is able to read far more easily. "It was our son who inspired us to train to test for Irlen Syndrome and later become diagnosticians, making the lenses right here in our home," says Rick, who adds that it's not just a home business but a means of helping other people, which both he and Cheryle enjoy. "We love what we do and even go out and do speaking engagements on the subject," Cheryle says. The Harbaughs have tested more than 4,000 people in the past 15 years of business, while their son, now 37, as well as their daughter, Tracy Drager, 34, help promote the family business to whomever they feel it may benefit. "We work from 8 a.m. to 3 p.m. every day; then we shut down so we can spend quality time with our kids," says Kim Welch, who, along with her husband, David, are Orange County, Calif.-based distributors for Appreciation Advisors , an online greeting card company that sells physical cards (not e-cards) that can be ordered and shipped quickly for all occasions. Kim and David, married for six years, always wanted to work together. They made their dream a reality when they converted a spare room into an office nearly a year ago. "We really enjoy working together, but we found the hardest part was shutting down," Kim says. "The kitchen is 10 steps away from the office, so it was too easy to keep running in to check e-mails or do something work-related. So we came up with the 3 o'clock shut-down rule, which allows us to enjoy family time with our children (ages 5 and 3½). "Sometimes we'll do some work after the kids are asleep, but other times we won't. Business is important, but so is quality family time," Kim says. Of course, before you can run a family business from home, you need to set up a place from which to work, one with adequate ventilation, electrical outlets, internet service and proper lighting. For families like the Siegals and Kim and David Welch, a home-based office may mean a spare room or utilizing a portion of the kitchen, dining room or living room. However, for the Hoys and for Kelley and Christine's hip-T business, much more space was necessary. "We each have small home offices," notes Kelley of the dual-household business. "However, my attic has been transformed into a warehouse from which the girls help us label, pack and ship out orders." The Hoys also turned their 1,000-square-foot attic into an office where the kids can work. They also converted some extra space in their bedroom into an office--possibly for some peace and quiet. As for the Harbaughs, they transformed a section of their 4,000-square-foot home, which housed Rick's tools and was essentially his work area, into their own Irlen testing and diagnostic center. Rick then built himself a separate tool shed. These are just five of a growing number of examples of families making a business work from home. By understanding what makes each other tick; designating duties, appreciating each other's strengths and being able to compromise; seeking everyone's input, designating downtime, doing something you like and--of course--having a well-chosen space in which to do all of the above, you too can enjoy working and living with your family under the same roof.